In 2013 Johannes Pramsohler founded his own record label, Audax Records. The first album, a homage to Arcangelo Corelli received rave reviews from the international press. Now follows Audax No.2: Handel's visit to Dresden in 1719 is the starting point of this exciting collection of chamber music from the Saxon court. Director Johannes Pramsohler unearthed some rare gems by composers associated with Dresden � highly virtuosic and fascinating music that is far too good to fall into collective oblivion: trio sonatas by Handel, Telemann, Fasch, Fux and Tůma. Amongst them are three world premiere recordings. Johannes Pramsohler was born in South Tyrol, studied in London and is now based in Paris. He has established himself internationally as an emminent expert of historical informed performance. He is regularly invited to lead Europe's most important baroque orchestras. 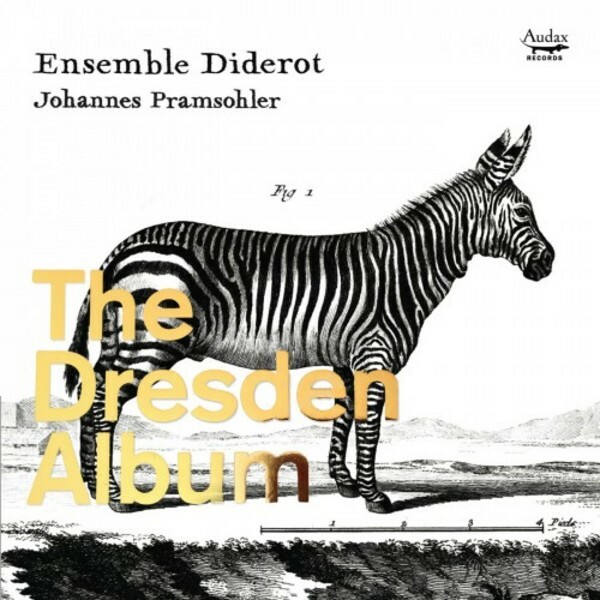 The Ensemble Diderot is undoubtedly one of today�s most interesting and original chamber music groups in Europe. It dedicates itself to the exploration and performance of the Baroque trio sonata repertoire of the seventeenth and eighteenth centuries, and performs on original instruments.